To provide resources and guidance to businesses, stakeholders and partners to protect and expand Michigan’s defense and homeland security assets, economy and jobs. In 1941, President Roosevelt called on the men and women of Michigan and our industries to equip and support the nation and our allies as we faced the greatest threat up until that time. As the Arsenal of Democracy, our contributions helped the U.S. and our allies defeat our enemies. In the last 75 years, the enemy has changed, the battlefield has changed, but the Department of Defense continues to look to Michigan to produce the solutions to military needs and to provide the expertise to engage enemies around the globe. 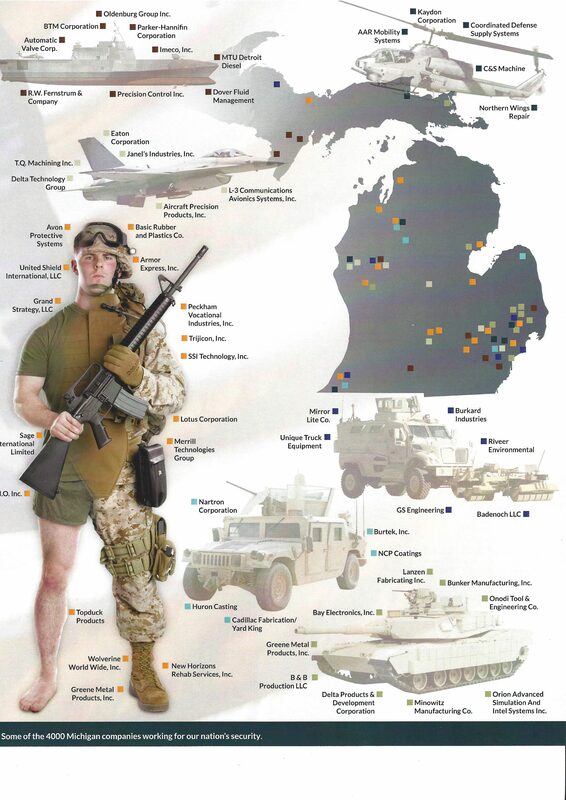 As the Arsenal of Innovation™, Michigan continues to provide our service members with the best and most innovative tools and solutions to ensure that their next deployment isn’t just a fair fight, but decidedly in our favor. 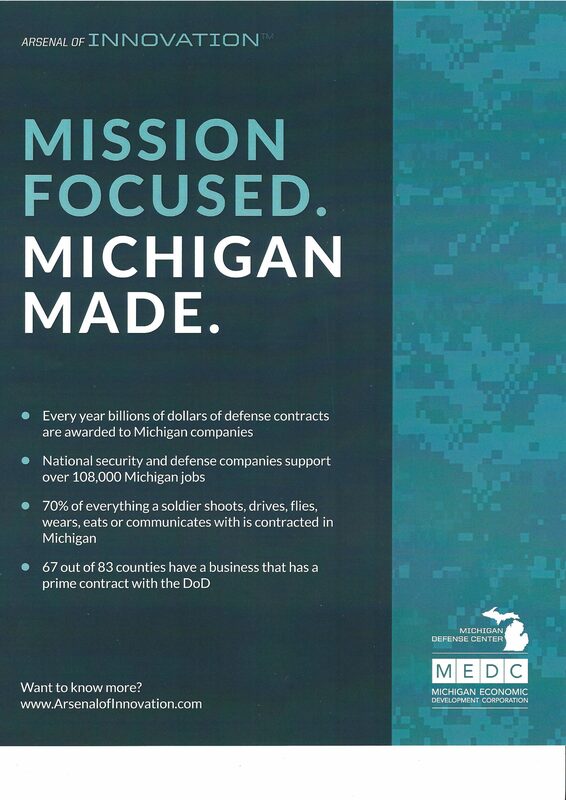 The Michigan Defense Center is an operation of the Michigan Economic Development Corporation focused on the support, protection and growth of Michigan ’s defense and homeland security missions and the Michigan businesses that support our nation’s security and our military ’s safety. Nearly 4,000 Michigan businesses are currently serving the defense industry and there’s room for more. 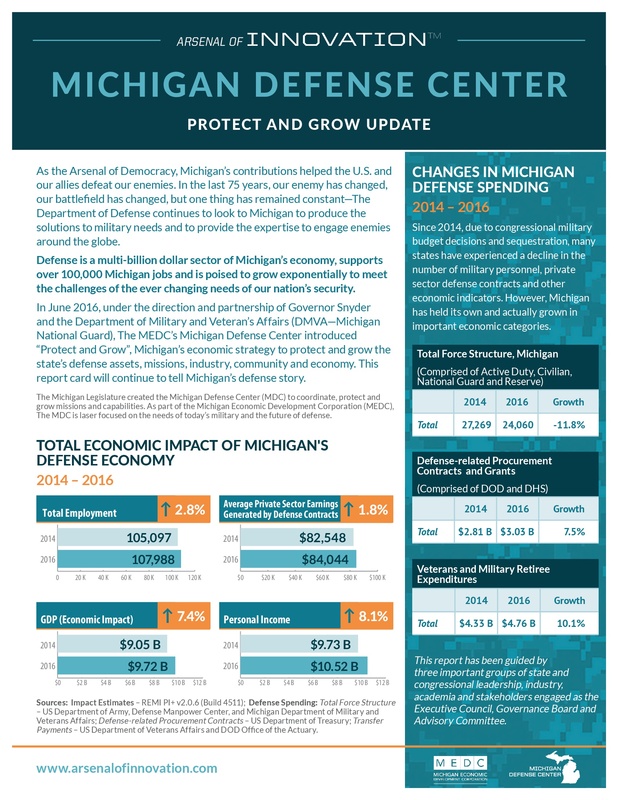 The Michigan Defense Center has tools to help your Michigan business. Click through to find out more.